news Microsoft has revealed that Sydney’s Manly Council is using its ‘Internet of Things’ software to significantly enhance its capabilities for operating infrastructure such as the council’s parking metres and CCTV cameras, in one of the first known deployments of this kind of environment for Microsoft in Australia. According to a statement released by Microsoft, Nathan Rogers, Manly Council’s CIO, said the Council had a large number of smart and connected devices installed in the municipality, including four smart parking stations, about 25 smart parking meters, 20 wireless access points and 100 CCTV cameras, all connected by eight kilometres of fibre optic cable. The idea to use Microsoft’s Azure Machine Learning to monitor car parks was borne after Rogers and his team had seen a viral video showing a technology called How Old, which predicts a person’s age through an uploaded photograph. This spurred them to wonder whether the use of artificial intelligence might assist Manly Council. The IT team wrote a program that downloads footage from the camera, passes it and uploads it to Azure Machine Learning. The technology is also used in mobility bays located beyond foot patrol distance of the CBD. In the future it may also be used to provide a community safety tool with the ability to recognise crowd patterns and trigger public place management protocols and safety evacuation plans. With Manly attracting eight million visitors each year, technology is vital in enabling the Council to service both citizens and visitors. “The Internet of Things is useful for initiatives like people counting, where we have software deployed that looks through our cameras and counts the number of people that walk by. This creates data that we can present to the Chamber of Commerce, people who are interested in starting a business in Manly and people who run big events in Manly like the Hurley Australian Open,” he said. “We feel we’ve really only scratched the surface with this sort of technology and there’s a lot of opportunity to come. Cloud based technologies like Azure Machine Learning let a smaller council like Manly get access to high end computing resources, and the outcome of research and development without having to invest a lot up front. It really enables us to ‘play with the big boys’. Rogers said he was surprised at the speed to which people from Council “who aren’t necessarily programmers” had become adept at using the Azure Machine Learning technology, “because image passing and processing recognitions is normally very specialised and requires proprietary software”. 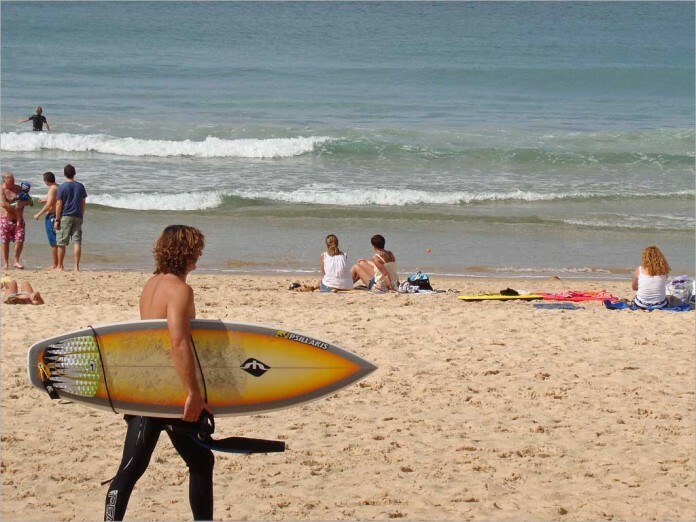 And, in keeping with its title as the birthplace of surfing in Australia, the IT team believes it is possible to utilise Azure Machine Learning to predict the surf conditions, possibly even a number of days ahead. Lee Hickin, IoT, Business Group Lead, Microsoft Australia said Manly Council’s experience was typical of some of the innovations that were being enabled through the use of artificial intelligence and machine learning. I’ve heard a great deal of hype about the ‘Internet of Things’ in Australia over the past year, but this is one of the first real-world deployments of this kind of technology that I’ve seen. I’d love to see further case studies along these lines.